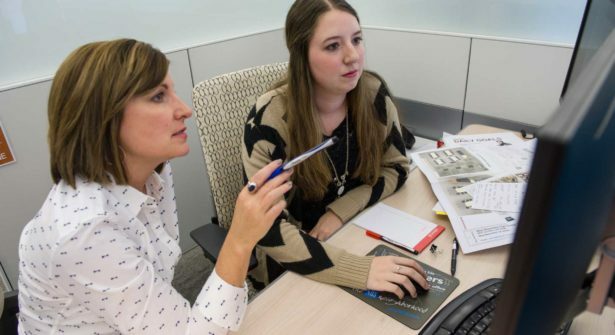 For an organization like HRI, a leading manufacturer’s representative to the food service industry, an office space must fulfill a tall order. It must surprise and delight visitors, providing no less than a full sensory experience of the latest technology and trends in the culinary industry. But it must also support essential day-to-day office work. 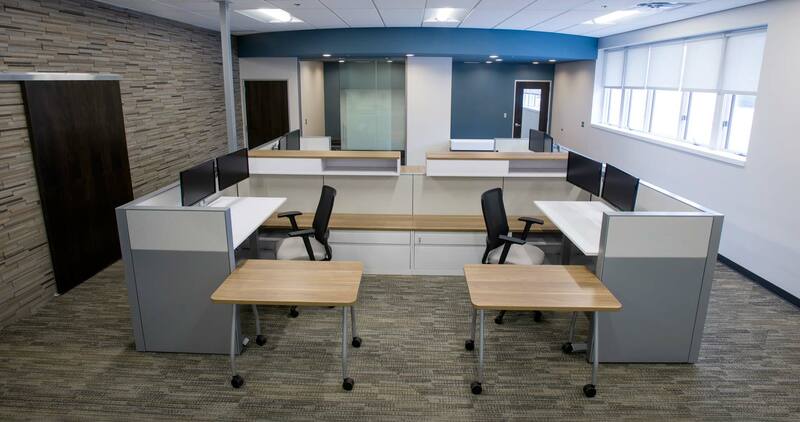 When HRI secured a new location, their architect recommended NBS as the partner who could help bridge these two functions with their in-house solutions including construction, architectural systems, floorcovering, furniture and design. 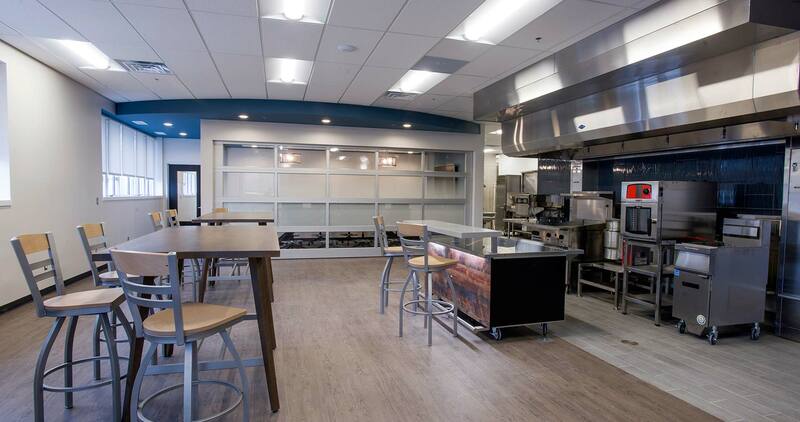 First, NBS helped HRI showcase its manufacturer’s equipment in a professional and efficient kitchen environment. The fresh, interactive design with an open floor plan is appropriate for culinary demonstrations, collaborations and educational events. 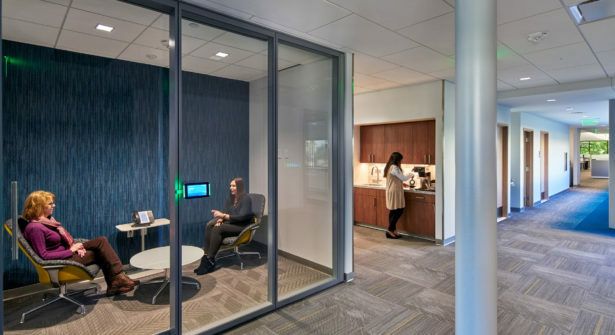 If the demonstration kitchen is the public zone of HRI’s space, the office area that NBS designed is the private sphere. 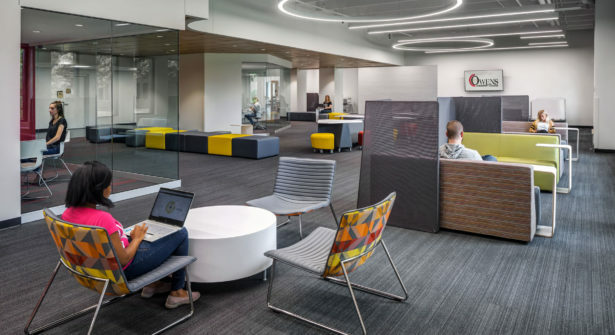 While the offices are tucked away, the clean, modern design elements of the public zone carry into the private spaces to create a quietly inspiring atmosphere. 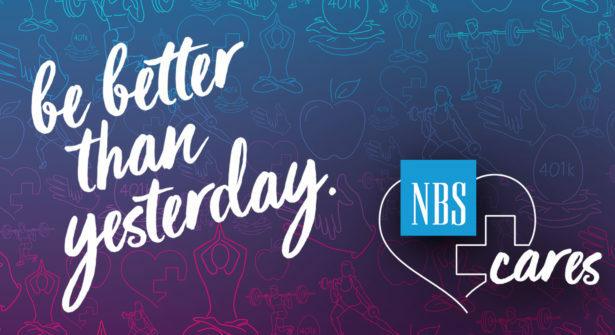 Adding to the distinctive character of the design are the creative elements NBS used to intersect the public and private zones and serve both. 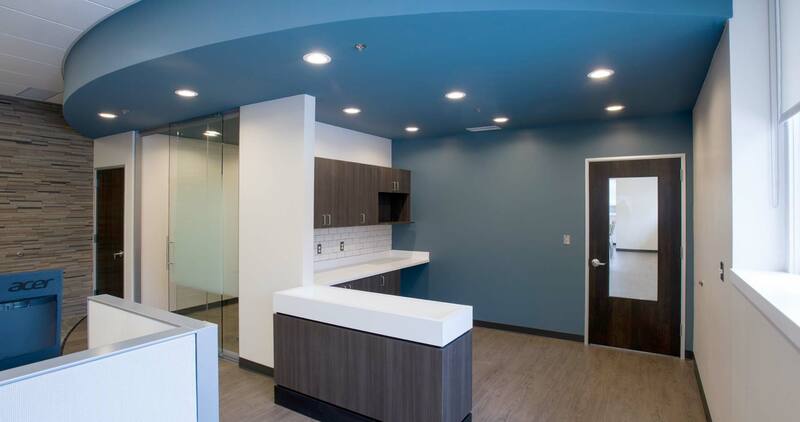 Connecting the two spaces is a painted drop soffit with integrated lighting that NBS Construction Solutions built to add interest and functionality to the space. 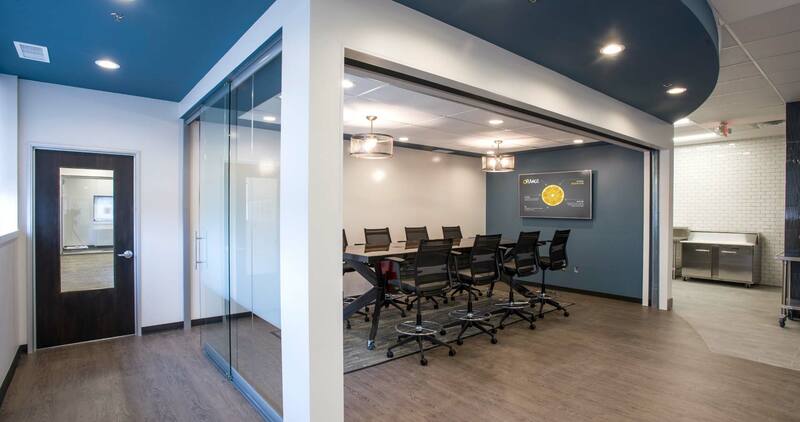 A glass front conference room, adjacent to the office space, opens onto the demonstration kitchen with a dramatic glass garage door. For added privacy, frosted window film was added at just the right height to block screen content. 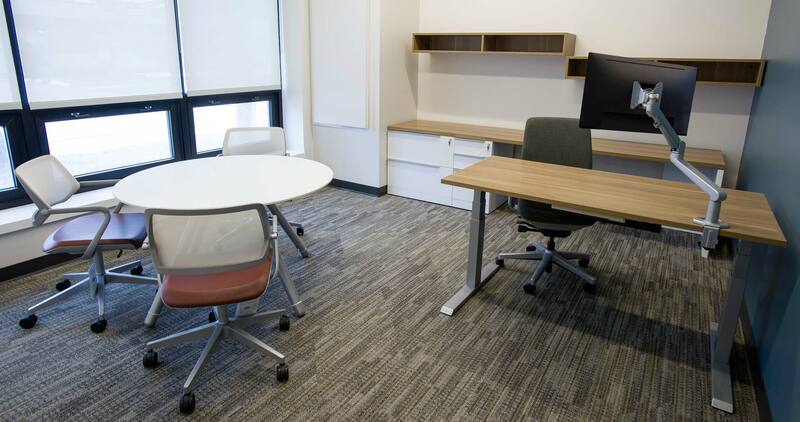 This room, suitable for both internal and external meetings, also features a custom wood conference table with a unique HRI insignia. Samantha Barstools by Grand Rapids Chair Co.